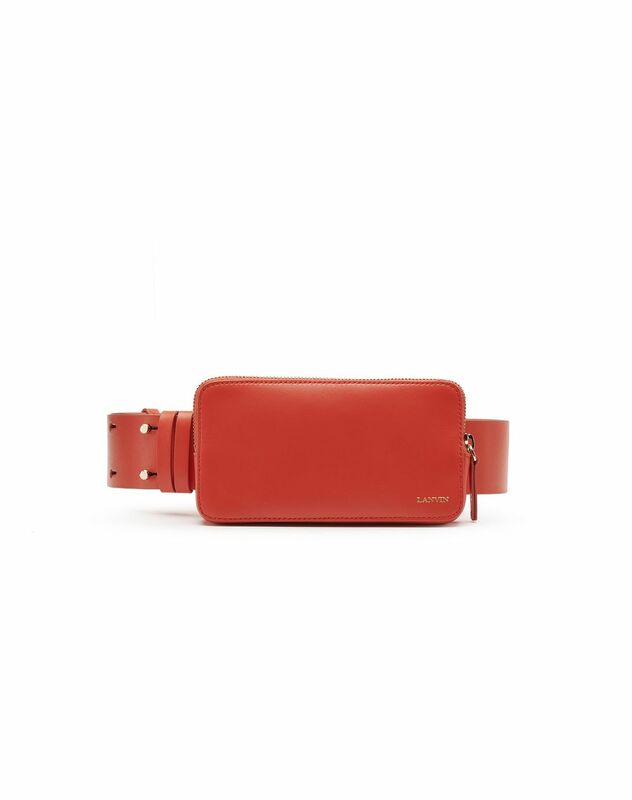 Adjustable belt with detachable smartphone pocket in bright orange calfskin leather, gold “Lanvin” logo detail, and gold-finish metal zipper closure. 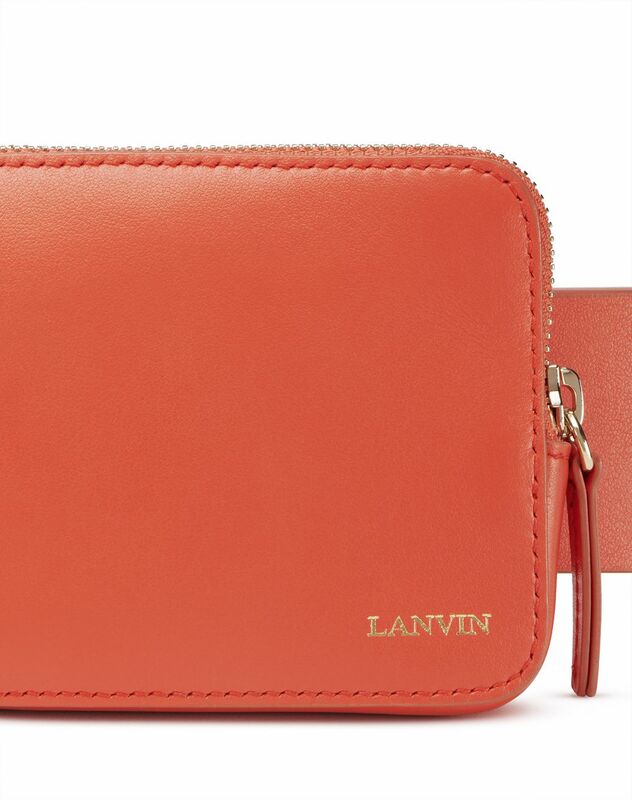 Presented during the women’s Winter 2018 show, this smartphone belt complements the range of accessories offered by Lanvin. Both functional and modern, it will complete your look with elegance and keep your cellphone safe and secure. 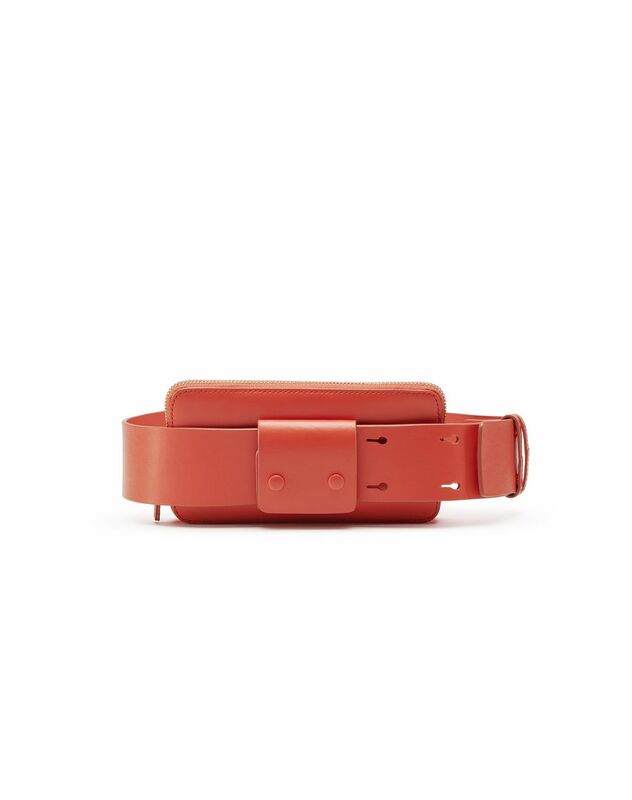 Available in vibrant colors, these new belts will liven up the season with newfound brilliance. 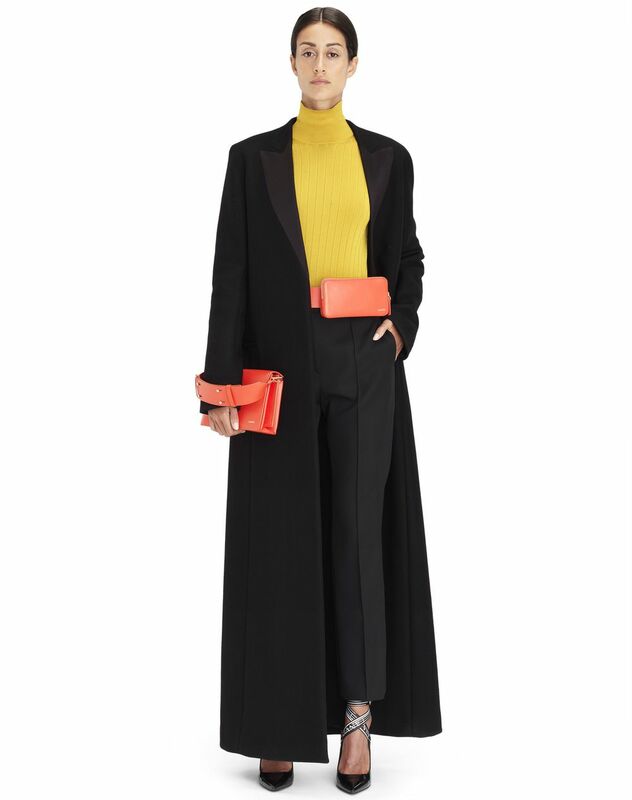 This piece was unveiled in look 28 of the women’s Winter 2018 show. Main material: 100% calfskin leather. Lining: 100% goatskin leather. Smartphone pocket dimensions: Depth: 2,2 cm Width: 9 cm Height: 17 cm Made in Italy.